A story about talent, training, motivation and ambition in the music world, Whiplash shines the spotlight on what it takes to succeed, and at what cost. 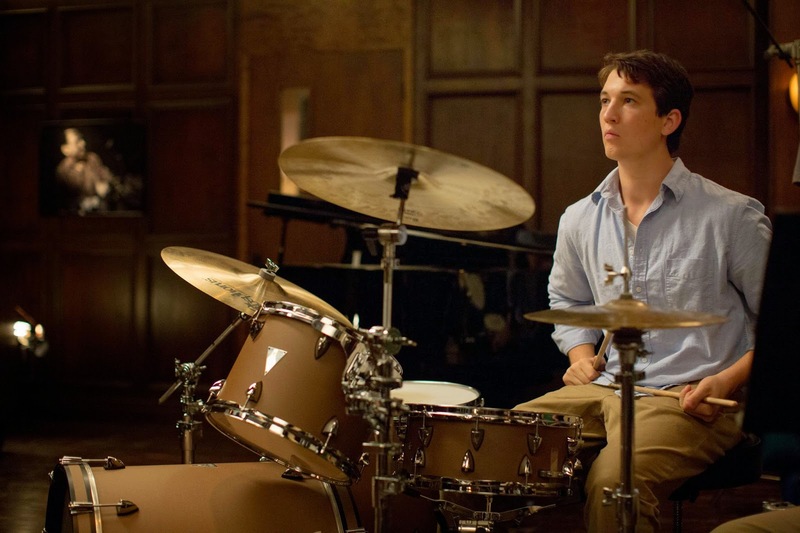 The Shaffer Conservatory in New York is the best music school in the country, and Andrew Neiman (Miles Teller) is a dedicated student drummer with ambitions to be the best in the business. Andrew is spotted by Terence Fletcher (J.K. Simmons), the legendary leader of the school's senior band. Andrew quickly establishes his credentials and graduates to the lead drummer position, while remaining close with his father (Paul Reiser), and starting a tentative relationship with Nicole (Melissa Benoist), the cashier at the local movie house. Fletcher's punishing teaching and motivational methods are brutal, and rely on intimidation, humiliation, exhausting repetition and physical exertion. He pushes his students to be their best, at an enormous emotional cost. Andrew proves his talent and helps the Shaffer band to success at music competitions. But despite his best effort, Andrew finds Fletcher impossible to please, and the relationship between teacher and student reaches a dangerous breaking point. Whiplash is a simple two-character story about raw talent being forged by the fires of fear into potentially exceptional ability. Directed and written by Damien Chazelle, the film explores familiar territory often seen in sports films, where talent alone is not enough, and achievements are only grasped when coaching, motivation and heart come together. Chazelle even throws in a family dinner scene where Andrew goes out of his way to puncture the overglorified arena of sports achievement. In Whiplash, music is all that matters, and the requirements in terms of blood, sweat and tears are as demanding as any other domain. In expanding to 106 minutes, Whiplash does probably push its points further than they need to go. There are several occasions where Andrew's badly bruised hands are literally dripping blood onto the drum kit, and a couple of the confrontations between Andrew and Fletcher are over the top in their theatrics. But the two central characters are never less than enigmatic. 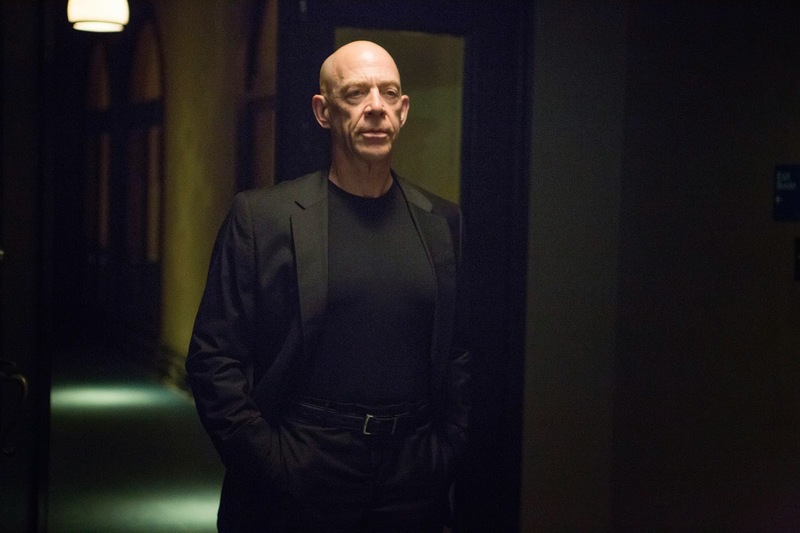 At age 59 and after a lifetime spent mostly in background character parts, J.K. Simmons lands the role of a lifetime and makes the most of it. Terence Fletcher is a conceited force of nature, a rule-by-terror music teacher, the type of coach hated every day of the year except on the night that awards are handed out. With his politically incorrect bellowing and emotionally abusive behaviour, Fletcher is also the type of employee that a high-achieving school would tolerate due to his unfailing ability to deliver the competition wins that maintain the school's reputation. Miles Teller gets the more rational and therefore less showy part, and he is also excellent. Teller keeps Andrew balanced as an individual with his own set of issues, and never trips into bland victim or hero status. Andrew is driven, ambitious and carries hard-headed ideas about success, as Nicole will find out. And as much as Fletcher is willing to push, Andrew is willing to push back. Teller creates a believable young man taking on the greatest challenge of his life. Against the backdrop of a terrific jazz band music score, Chazelle makes his key points with effortless intensity: anything worthwhile has to be earned, unleashing individual full potential is no easy task, and sometimes, worst enemies and essential allies are one and the same. Whiplash's lessons are not necessarily new, but they are delivered with pounding passion.